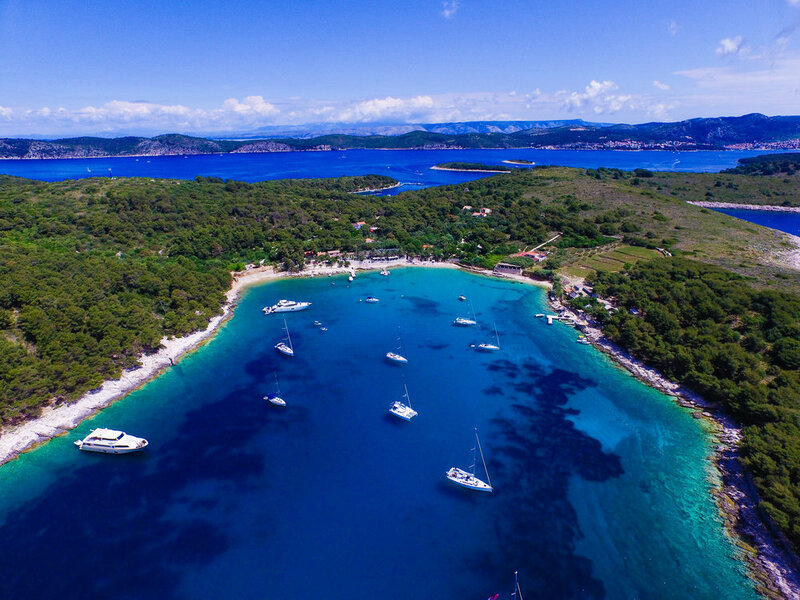 Close to the city of Hvar, Pakleni islands are definitely worth visiting. While there, make sure you don't miss out on these absolutely amazing places. These 5 dishes are absolute winners among our guests. Make sure you don't skip them on your next visit to Zori restaurant. WHAT IS ORGANIC MEAT AND WHY WE USE IT? We love our organic meat and our guests too. Many times guests ask us what is exactly organic meat and where do we supply it? New uniforms for our waiters. Our waiters at Zori Restaurant have all been outfitted in what we think a very stylish designers uniform. From everyone here at Restaurant Zori, may this easter bring you all together for a great celebration filled with lots of joy, happiness and of coarse Lots of Chocolate! 6 Tips So Your Guests Will Have A Blast At Your Destination Wedding! You’re inviting your family and friends to join you for your wedding celebration – and while this is about our new start in life, you want to make sure they are having an amazing time, too. These 5 tips will help you ensure that your destination wedding to Croatia delivers fun memories for your guests. Vinogradisce Bay on St Klement island. Create a timeline that works for them. Have you been to that wedding where it seems like the guests are forgotten as the couple spends endless hours in photography sessions between activities? Be sure to schedule the big day with smooth transitions from ceremony to cocktails to dinner and entertainment. Plenty of delicious food! You might think that having lovely venue and beautiful, sunny destination will be enough to impress your guests while we can assure you great(and plenty of) food will be much more appreciated. If your guests are hungry they wont enjoy dancing night away. There are many ways to plan luxurious wedding on a budget but cutting ends on food shouldn’t be part of your strategy. Add some canapés before dinner (during cocktail hour) and as well for after party, especially if you’re after party goes on for more than 3 hours. Invest in a great band or quality DJ. If you are planning on dancing the night away, skip the iPod and speakers and go for the professional music services. Your guests will have a blast celebrating with you to favourite songs. Don’t forget about good allocation of sound, surrounding sound works much better then getting one or two speakers at the spot. Your band or DJ will be able to guide you about this, if you want your guests truly to have a blast don’t’ skip this tip! Get entertainment for the children. If kids will be attending your celebration, find some entertainment options just for them. Bounce houses, craft corners, face painting, and magicians are all fabulous choices. When the kids are entertained, parents can relax and enjoy the day even more. Even few big cushions placed on rugs at the dedicated venue area will make a difference, children are most likely to get comfy and fall a sleep while parents can have a fun for another hour. Personalize your wedding favors. Make your guests feel cherished with meaningful gifts for them. Small notes and tokens of love at each table don’t have to cost a fortune, but will be treasured. Provide a gift bag with local options. Destination weddings are often mini-vacations for wedding guests. Leave them brochures, maps, and information about what they can do in the area at their hotel in small gift bags, perhaps with a local treat. Your wedding planner should be able to help you with ideas and source gift bags for your guests. Your wedding will be fabulous, and your guests will have an amazing time when you use these tips to make sure their needs are addressed. If you need more ideas for ways to treat your guests’ right, give a wedding planner a call! Ivana Vukusic is one of a lead wedding planners from Wed Our Way. Her and her team specialize in planning custom-from-scratch weddings, giving destination couples a flexible, stress-free planning experience that doesn't limit them in choices, but instead gives them more options and control over their wedding experience. Restaurant Zori goes green again: installation of our own wastewater treatment system. Happy Flowers at our last wedding. Not only do the sunflowers lighten up the space but they cheer up people when they walk into a room filled with these beauties.